Whether you’re a meeting planner veteran who could do with an update on modern phrases, or starting your event industry career – fear not. You too can learn the event industry lingo that everyone else seems to be using, by following this simple guide. There is a whole ton of vocabulary, jargon, and acronyms that industry professionals throw around that might seem like another language, but by becoming familiar with these keywords, you can walk back into that meeting with a renewed air of confidence and smash that pitch out of the park. This acronym stands for ‘Business to Business’ events, meaning corporate or trade-related events. The opposite of B2B, this acronym means ‘Business to Consumer/Customer’ events, often relating to more consumer and public-facing events. These terms all mean to take down equipment and clear away items that have been set up for an event, after the event is complete. 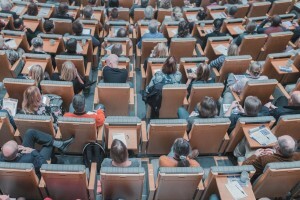 During larger events, meeting planners often host shorter educational meetings known as ‘concurrent sessions’ which are scheduled to take place at the same time, each focusing on a different subject or theme. Attendees can choose which session, or track, interests them the most. If you want to provide your delegates with some information at your conference, offer them a conference pack, which could include a schedule or program of events, a map of the venue and information on venue facilities. Some events offer an event app to replace printed materials. A consumer show is a B2C exhibition or showcase of products, exclusives and activations designed to attract the attention of new potential buyers. Often, visitors attend consumer shows to shop, see product demonstrations and socialize. Day Delegate Rate, or DDR, is a charge by a venue per attendee, per day for an event, based on a full day’s meeting. Depending on the venue, DDR can include meeting room hire, refreshments, lunch, and conference equipment. Early is the key word here for registration for an event, which often means tickets and services purchased before a specified date are available at a reduced fee. This term refers to the specified time for crew and staff to arrive and access a venue for setup before the public or guests arrive. A fee paid to a guest speaker. Also called ‘Setup and Take Down’—the process of preparing equipment for an event and taking apart that equipment after the event. Another word for a schedule, agenda, or program. A detailed event itinerary can be created for attendees or team briefings to outline the flow of the event. Whether it’s a presentation or speaker, a keynote refers to the opening address or important plenary session at a meeting that sets the tone or theme of the event. The headline speaker is often a public or well-known industry figure whose presentation motivates the audience and a strong motivator for guests to attend the event. Keynote speakers are often a motivator for attendees to participate in events. The opposite of ‘Load Out’, this term refers to a specific period of time for loading in equipment/items to install for an event. An account set up to which all charges for a specified group should be applied (often by the host or event planner). The ‘Modified Meeting Package’ refers to a type of conference package. It can typically mean a full conference package with the exception of one meal (dinner in most cases). An expected guest (i.e. delegate, hotel guest, attendee) who does not attend and hasn’t advised the organizer or hotel of a planned absence or delay. A report detailing the event history after the event has happened, including number of attendees, number of no-shows, total cost per person, profit, etc. Advice formerly offered to event organizers that includes positive and/or negative comments, suggestions, and notes provided by guests after the event, in order for event planners and organizers to gain an understanding of successes and where improvements can be made. Used to qualify attendees before the event and gather data about them, this type of information involves a questionnaire used to gather information from attendees, with questions often asked during the online event registration process. Also referred to as ‘Advance Registration,’ this phrase means booking onto a meeting or event prior to the day of the event. Shorthand for ‘Public Address System.’ A device that amplifies sound in one large area or throughout several rooms through speakers so that messages can be shared. Dedicated sound technicians can ensure sound systems run smoothly. This is an invoice (or bill) provided by a supplier prior to the provision of the service. A written offer from a vendor to a prospective buyer, produced in response to an inquiry. This proposal will attempt to match the requirements and detail costs, availability, and specifications for the potential client. This is a preliminary step to a ‘Request for Proposal’ (see below), where a company researches potential vendors for details about their products and services. A formal request by an event or meeting planner, which lists/details all of the specifications required for the event, sent to suppliers in order for the companies to draw up a proposal of their services and bid for the business. A modular system (which normally comes in one-meter modules) used at exhibitions to showcase companies’ products and services. This is one meeting, presentation, or workshop that can take place in a breakout room during a larger meeting or conference. Unlike a shell scheme contract where the modular system is provided, an exhibitor can choose the space only option, which refers to space on an exhibition show floor, of which the exhibitor can be creative and has to provide their own exhibit stand. The name of an individual or company that has been hired to entertain at an event, demonstrate products, work at an exhibition/conference to greet visitors, stage a performance, or host an awards ceremony. The event management team decides this date for the arrival of freight at an event—if shipments are received before or after this target date, a penalty fee may be charged. Often referred to as an exposition or B2B exhibition, a trade show is an event where a specific industry meets its peers. Goods and services are exhibited and demonstrated. A typed or written document that has recorded a speech or discussion from an event or meeting. In terms of events, ‘traffic flow’ refers to the movement of visitors through an exhibition. It can also refer to how attendees move from one area, hall, or room to another. A client is ‘waitlisted’ when an event, session, or space is fully booked. They can be held on a waitlist for cancellations and if a spot becomes free they can be offered the opportunity to attend. This can mean either the end an event or meeting or a debrief following an event, otherwise known as a ‘wash-up’ meeting. 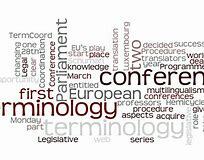 These three words refer to an extraordinary natural event, such as extreme weather, flood, earthquake, or similar natural disaster that cannot be prevented or foreseen and which contracting parties have no reasonable control over. The cancellation of an event or inconveniences because of such an ‘Act of God’ renders performance of the contract illegal, impractical, or impossible. Therefore neither party has a legal responsibility to continue performance of the contract. A measure of how many event registrants actually attend, calculated by dividing the number of no-shows by total registrants for the event or conference. For example, if 100 people register for an event and only 70 are in attendance, this event’s attrition rate would be 30%. In the events industry, when reviewing a contract to block off rooms or space for an event, meeting planners may come across an attrition clause. A Bid Document is a type of proposal from a potential vendor offering their services, which can include approximate costs, logistics, and time scale. In the events industry, the term ‘Blackout’ means a period of time when tickets or specific prices are unavailable. This could be due to a result of high demand and limited availability, the dates occurring over major holidays when consumer travel is at its height, during a hotel’s busy season, or a venue’s limited inventory due to a previously booked event. This contract clause details the terms and conditions under which a company may cancel or terminate the agreement or reservation. This word has a couple of different meanings in the events industry. It may refer to the rent or lease of a form of transportation (such as bus, plane, or boat) to an organization. It may also relate to the grant of authority or rights allowing the recipient the prerogative to exercise the rights specified in a contract. Charter also means the role and responsibility in a project to serve as a reference of authority for the future. This word refers to an informal participatory discussion around group-selected topics. Also known as a ‘backup plan,’ this document has a crisis management agenda planned in advance before the event takes place. This is to address what to do if an emergency occurs or if the intended event plan changes. A ‘Convention & Visitors Bureau’ is an organization that offers information to meeting planners, travel agents, and visitors including news, events calendars, lists of suppliers, and a directory of accommodation. 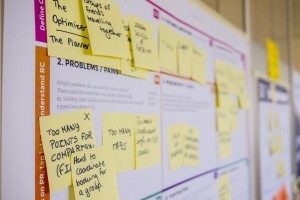 An event management plan used to ensure an event runs smoothly, detailing which tasks need to be fulfilled and who is responsible for them, and what time-frame they need to be completed by. The responsibilities of anyone dealing with personal data. Laws and guidance vary from country to country. A private company that offers local expertise for event planners from out-of-town to assist with the planning and execution of conferences, meetings, concerts, exhibitions, and other large events. Scheduled time when a party or person will leave a venue. Scheduled time when a party or person will arrive at a venue. Also known as a ‘Fam Trip’ for short, this refers to reduced-rate or complimentary travel offered to industry professionals to introduce them to an area and showcase its attractions, hotels, and facilities. Often provided to showcase why business should be brought to that destination. Often offered by a convention bureau, this is a third-party agency who looks to manage the housing process for a meeting. This type of travel is a reward or incentive given by a company to its employees to motivate productivity. The time between an initial venue inquiry and when an event actually takes place at a venue. This term describes an individual in the events industry who works in the meetings sector. 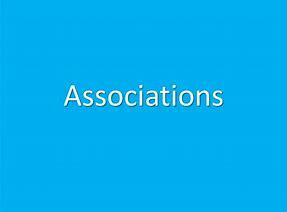 This acronym stands for the ‘Meetings, Expositions, Events, and Convention’ sectors of the meetings industry. Once a ticket has been issued, if it’s referred to as ‘non transferable’, then no name changes are allowed to be made. A room in a restaurant separated from the main dining area that can be reserved by groups to dine with more privacy. Frequently requested by event planners for parties or group dinners after a meeting or event. In events, this usually refers to food, drink, and other requests that a performer has specified should be provided for them backstage. It can also mean an amendment to a contract. Assessing the possibility of injury or loss to the person attending the conference and ensuring there is adequate insurance covering possible injuries or loss. Event planners often provide a detailed Risk Assessment for every event they manage. The profit or other gain an event generates for organizers. With regards to equity, the measurable amount of net income or profit a company generates with the money shareholders have invested. With the ‘Return On Event’ phrase, ROE can refer to the value brand awareness exercises brings, and not just the contribution to sales volume. A performance measure key to meeting planners and organizations. This refers to the ratio between the net profit made and the cost of investment in the production of an event. To be announced/To be confirmed. Added products or services a facility or organization can offer on top of the contract, which can include amenities such as free Wi-Fi, upgraded rooms, or free parking. ‘Augmented Reality’ is a technology that superimposes a live direct or indirect view of a physical, real-world environment, often across multiple sensory modalities. Software that allows event planners and managers to create a database of contacts so they can better monitor, manage, and maintain contact relationships. Refers to equipment with both sound and visual components event planners use for presentations, including screens, monitors, projectors, microphones, video, and sound equipment. A shared online database system that stores a major list of contacts and their details. This system allows companies to manage their interaction, event attendance history, and communications with their clients in an organized way. Database software that contains information about availability, rates, and related services, and through which reservations can be made. ‘High-Definition Multimedia Interface’ (HDMI) is a digital audio/video/data connector; a replacement for analog video standards that is compatible with computer monitors, video projectors, digital TVs, and digital audio devices. ‘Light Emitting Diode,’ a type of display and lighting technology with wide ranging applications, including ambient lighting and large display screens. Coverage of an event broadcast live over the internet, often via social media channels. A tool that allows meeting and event planners to convert non-metric units into metric units, so they can easily determine the size of the room they will require for their event. A measurement commonly used by email marketers that refers to the number of individuals who have ‘opened’ or ‘viewed’ an email sent out in a campaign. Open rate tracking is available through most email marketing providers. Type of equipment previously found in conference rooms or classrooms. Overhead projectors displayed enlarged images onto a screen or wall from a transparency placed below the projector and lighted from underneath. A conference being broadcast simultaneously to multiple sites via phone or other audio. Using video technology to broadcast an event or meeting to participants unable to attend in person. A trade show that is hosted online. It takes the same form as a traditional physical trade show and allows attendees to communicate with exhibitors through web chats, while vendors can showcase their products and services at 3D virtual booths. An artificial environment created using a computer-generated simulation of a real physical, three-dimensional image, body or place to create an imagined and interactive environment. Also known as ‘Simulcast’, this is a media presentation or an event that is broadcast live over the internet. A presentation, session, forum, or seminar broadcast over the internet. Tools and products that operate without any need for a wired connection. This can relate to internet, microphones, printers, speakers, headphones, and other technology products. This term refers to an all-inclusive price given, commonly used by many venues and suppliers, that includes all hidden fees such as taxes and gratuities. Removable dividers in meeting spaces which allow event planners to create flexible spaces to meet their requirements. They can be used to facilitate multiple breakout spaces during a larger conference. French term that translate to ‘from the menu,’ referring to items selected individually as opposed to offered in a package. This word can refer to a property’s features and facilities, as well as often complimentary items offered in a venue, such as free food or drink, office supplies, or concierge services. A meeting room or hall set up with chairs set in rows facing a stage or podium. The inner chairs directly face the front of the room, while the outer chairs may be angled to provide a better view of the stage. This term refers to areas of support and service usually not seen by guests, offered by the hotel, event venue or facility. Also referred to as ‘Pod’ or ‘Round set’, this seating arrangement is designed for large audiences for events such as awards ceremonies and galas, where there are typically round tables of 8-10 guests seated. Pod or banquet style seating is a strong choice for collaborative meetings. Also called a “Program Execution Order (PEO), this order of instructions outlines all event logistics and instructions a venue needs to successfully execute an event. This document details the timings of the event, space or room setup, menu selections, audio visual requirements, and how the event will be run. Designed to facilitate conversation, preferred for training or committee meetings, this seating arrangement sees delegates seated facing each other around a square, rectangle, oval, or round table. Smaller rooms used as part of a larger conference or event when a large group breaks into sub-groups for specific sessions. This term refers to a facility, set of rooms, or area in a hotel or event venue used for the sole purpose of effective business meetings and presentations. Various office facilities and services, such as printing and photocopying are offered to support the event team on site. A number of small round tables are laid out with chairs facing the stage area, with a gap closest to the speaker/performer so that no attendees have their backs to the front. This setting design sees the room set up with tables and chairs in rows forming a V-formation facing the stage. Layout arranging seats in a circle, where the inner space of the circle is not used. Imagine an old-fashioned classroom layout; rows of square or rectangular tables and chairs all face the stage or podium, directly facing the speaker or screen. A venue or facility can provide an event planner complimentary rooms (without a charge) based on the number of rooms purchased by a group. Also referred to as ‘board-of-directors set-up’ or ‘boardroom set-up,’ a room will feature chairs arranged around a table, with everyone facing in for a discussion. If there are too many participants to fit around one boardroom table, several tables may be used. Hollow square means that there is space in the centre between the tables. A small charge applied for bringing outside alcohol into a venue or facility. The charge is normally made per bottle. This date refers to when a facility releases a block of rooms or space. For example, when a planner agrees to guarantee a number or room block to be reserved, by their ‘cut-off date’ they can no longer decrease the guarantee number without a charge. Or, if the rooms have not been reserved by this date, they can be released for general sale. An acronym for ‘Food & Beverage,’ which refers to a catering service provided by a venue during an event. Permanently positioned seating at a facility, not able to be moved. A ‘floor plan’ refers to the blueprint or layout of a room or exhibition hall, including electrical outlets, doors, windows, pillars, and other amenities and how the event will be set out within the space. Force Majeure Clause This clause is included in most venue contracts to prevent the facility from being held liable should it not be able to hold up to their end of the agreement due to circumstances that are not within the venue’s control. These circumstances include events such as a natural disaster or other ‘Acts of God’. Just like a horseshoe, tables and chairs are arranged in a U-shape with rounded corners. Refers to minor or miscellaneous expenses, other than room and tax rates, that are billed to a guest’s account in a hotel. Rates that include service fees, gratuities, and taxes. Low Season When travel, hotel, and business demand is at its lowest and prices decline. Refers to the number of place settings above a guarantee. A caterer or venue will ‘over-set’ beyond the guarantee number requested by the event host, but the client will only pay for the number of seats and meals actually agreed or consumed by attendees. When travel, hotels, and business demands are most active and rates are higher. Also known as High Season. Tax and gratuities are identified as “++” when they are not included in the price. Also referred to as ‘Banquet-style’ or ‘Round set’, this seating arrangement is designed for large audiences for events such as awards ceremonies and galas, where there are typically round tables of 8-10 guests seated. Also called a “Banquet Event Order (BEO), this order of instructions outlines all event logistics and instructions a venue needs to successfully execute an event. This document details the timings of the event, space or room setup, menu selections, audio visual requirements, and how the event will be run. This is the standard rate for a hotel room without discounts, which is often the highest rate published. Designed to encourage participants to network and a common set up during a cocktail reception. High-top tables are placed throughout the room with limited or no seating provided. Often used by hotels, this phrase refers to the total number of sleeping rooms in an event reservation. This phrase refers to the cost of hiring a meeting room, exclusive of equipment and catering. Also referred to as ‘Pod’ or ‘banquet-style’, this seating arrangement is designed for large audiences for events such as awards ceremonies and galas, where there are typically round tables of 8-10 guests seated. When a meeting or event planner wants to check out and tour a prospective or booked venue, they organize a site visit. Fabric that is affixed around tables, risers, and stages—often hiding cords, leads, and storage. Also called ‘projection distance.’ Refers to the distance from a video projector to the screen. Throw distance can have an effect on screen size and resolution. Researching and sourcing the right venue for an event. This enables event planners to view the facilities before final confirmation. These phrases are often used in the hotel industry when guests with confirmed reservations are sent to another hotel due to overbooking. The Meetings Industry Association (mia) is the principal association supporting and growing the meetings and events industry in the UK, and the keeper of AIM, the UK’s only recognised quality standard for the meetings industry. We support our members with research and training and, through a multitude of networking opportunities, we help them to grow and strengthen their business. The Association for Women in Events was founded in 2015 by 5 professional women in the events sector. The founders wanted the vision of the organization to be centered around a central inclusive place for all women to find resources, mentorship, and career guidance and enhancement. The Corporate Event Marketing Association advances strategic event marketing and marketing communications for senior-level event marketers and industry professionals. Since 1997, HBAA has been helping both businesses and individuals within them to strive for ever higher professional standards and runs a busy schedule of meetings and networking events throughout the year. It is the voice of the sector to Government and to business at large. We have agency members, hotel, apartments and venue company members – ranging from global hotel brands to independent properties. All member companies agree to adhere to the HBAA Code of Practice which defines best practice between agents and venues, thus protecting the interests of their clients. Formerly known as the Convention Industry Council, there are 33 member organizations representing over 103,500 individuals and 19,500 firms and properties involved in the meetings, conventions, and exhibitions industry. The Events Industry Council vision is to be the global champion for event professionals and event industry excellence. It promotes high standards and professionalism in the events industry with the Certified Meeting Professional (CMP) program. IAPCO is a membership-driven organization committed to further the recognition of the profession of the congress organizer, to offer a forum for PCOs and to provide members with opportunities to exchange ideas and experiences. Representing public assembly venues from around the globe, IAVM’s active members include managers and senior executives from auditoriums, arenas, convention centers, exhibit halls, stadiums, performing arts centers, university complexes, and amphitheaters. ICCA is the global community and knowledge hub for the international association meetings industry. Representing the world’s leading suppliers in handling, transporting, and accommodating international meetings and events, ICCA comprises of more than 1,000 member companies and organizations in almost 100 countries worldwide. Formerly known as ISES, ILEA has been established for over 30 years. ILEA is a global organization representing the creative events professional. It manages CSEP (Certified Special Events Professional). MPI is one of the largest meeting and event industry associations worldwide, providing education, experiences and relationships to help members produce their best meetings and events. Founded in 1983, NCBMP is a non-profit organization dedicated primarily to the training needs of African American meeting planners. With more than 7,000 members and an audience of more than 50,000 individuals, PCMA claims to be the world’s largest network of business events strategists. Headquartered in Chicago, PCMA was established in 1956 and has been dedicated to driving global economic and social transformation through business events. UFI is the association of the world’s leading trade show organizers and fairground owners, as well as the major national and international exhibition associations, and selected partners of the exhibition industry. UFI directly represents around 50,000 exhibition industry employees globally, and also works closely with its 55 national and regional associations members. Thanks to our friends at convene venues for providing inspiration and much content for this blog.